The picture of this quilt just doesn't do it justice-you'll have to stop by the shop to see the sample! 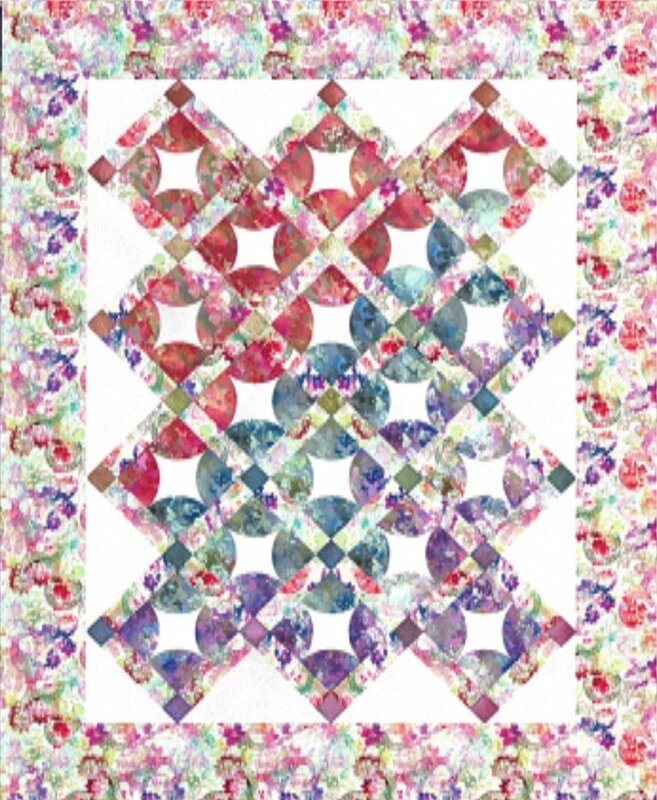 This quilt uses fusible applique combined with traditional piecing. No curved seams.